WHY GO: Connecticut’s Northeastern-most section, bordering Rhode Island and Massachusetts – has been dubbed the “Quiet Corner.” But it is quiet only in the way that a duck seems stock still while paddling furiously underwater. There’s an energy here that’s driving positive changes, mostly of the artistic and culinary sort, in the small towns of Putnam, Pomfret, Woodstock, Brooklyn, and Killingly/Danielson while simultaneously maintaining a pastoral vibe. Though most of these towns are best known for farming, gardening, and private Prep Schools, one stood out as an industrial center. 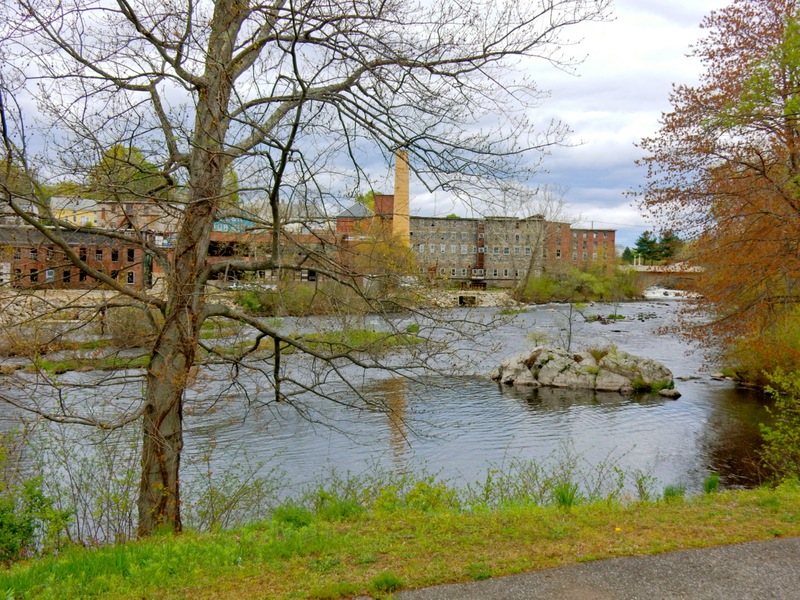 From the 1800’s until 1965, Putnam was a textile mill town. 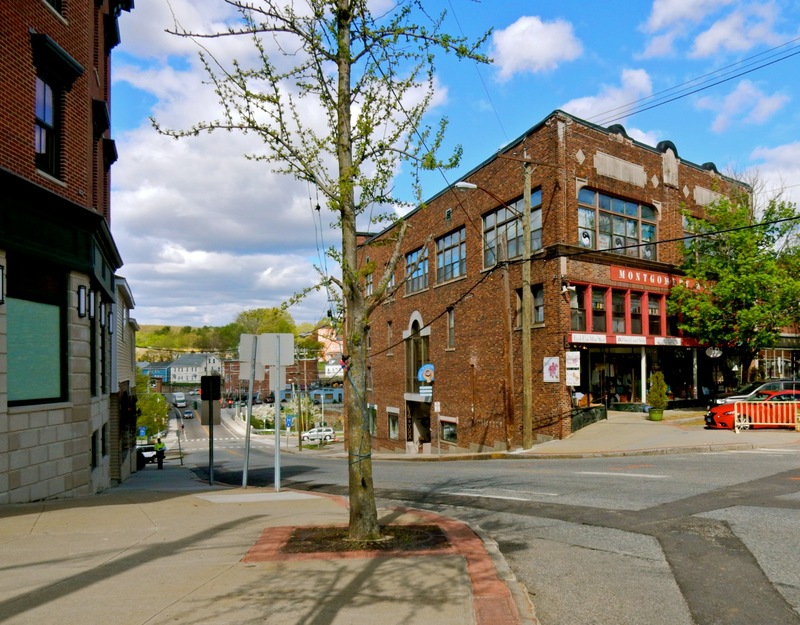 When those closed, Putnam was reinvented as an Antique Center. Because virtual shops, like E-Bay, have changed the way antiques are sold, Putnam had to redefine itself yet again. And it’s doing so magnificently. 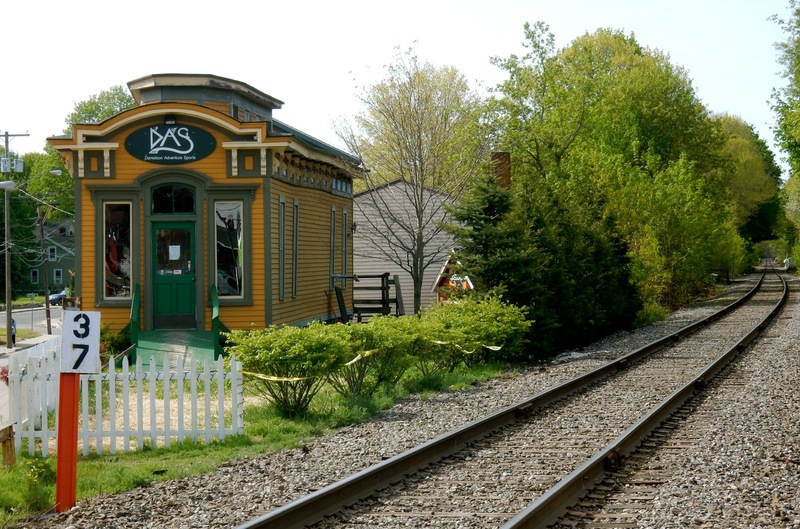 This Getaway to Northeast Connecticut, the “Quiet Corner,” takes you to the oldest private bowling alley in the country, a rare-tropical-plant gardening center, to cool local art venues, incredible dining, surprisingly abundant nightlife, and a historic overnight. TOUR: Roseland Cottage, Woodstock. 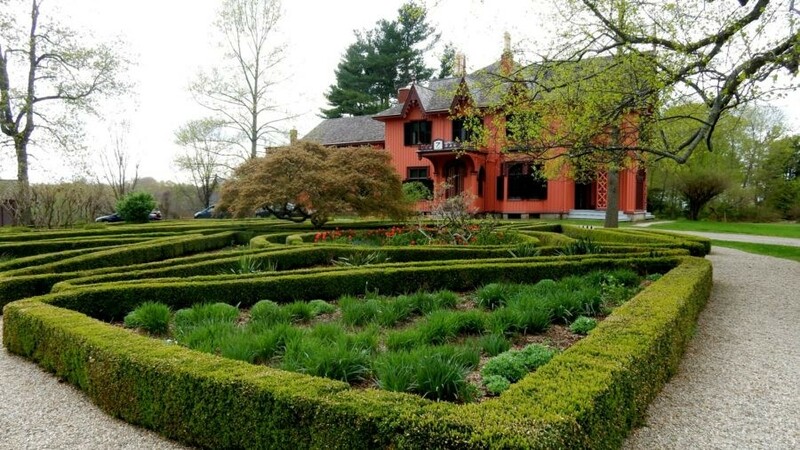 Silk built this shockingly colored Gothic Revival summer home in Woodstock CT, but Temperance kept it in the pink. Let me explain. In 1846 Henry C. Bowen was a 34-year-old silk tycoon, who, with lovely wife, Lucy Tappan, built this summer cottage, Roseland, in his ancestral home of Woodstock CT, right on the town common (now Woodstock Academy). A well-dressed, almost dandyish, Brooklyn NY man, Bowen was of devout Congregationalist New England leanings, yet was all but conservative when choosing the color of his country home. He painted Roseland Cottage a standout pink, and it has gone through 13 different shades over the years. In the 1890’s The New York Times called Roseland’s color “a brilliant crushed strawberry.” It is now a deep coral. The silk business went belly-up in the later 1850’s, but Bowen had already established The Independent – an anti-slavery, temperance magazine that brought him more fame and fortune. In 1860, President Abraham Lincoln appointed Bowen Tax Collector for the 3rd District of New York. Every summer, the Bowens invited hundreds of guests for their 4th of July party, attracting the most influential people in politics, including four US Presidents. The annual celebration was so gossip-column-worthy, in fact, The New York Times and other newspapers across the country covered it each year. Roseland Cottage has been owned and maintained by Historic New England since the last Bowen died in 1968, and a one-hour tour, which begins by the stunning boxwood framed gardens and continues inside the home, is a fascinating look at the pre and post Civil War wealth of one prominent family. Roseland’s Gothic Revival style was appropriate for a “dynamic man” of the day; its church-like pointed arches and stained glass windows testimony to Bowen’s faith. All of the furnishing belonged to three generations the Bowen family, and can be seen in numerous photos scattered around the home, providing a very personal insight into those who lived here. Walls are clad in unique, thick, textural Lincrusta, created by the originator of linoleum, Frederick Walton, in the 1860’s. 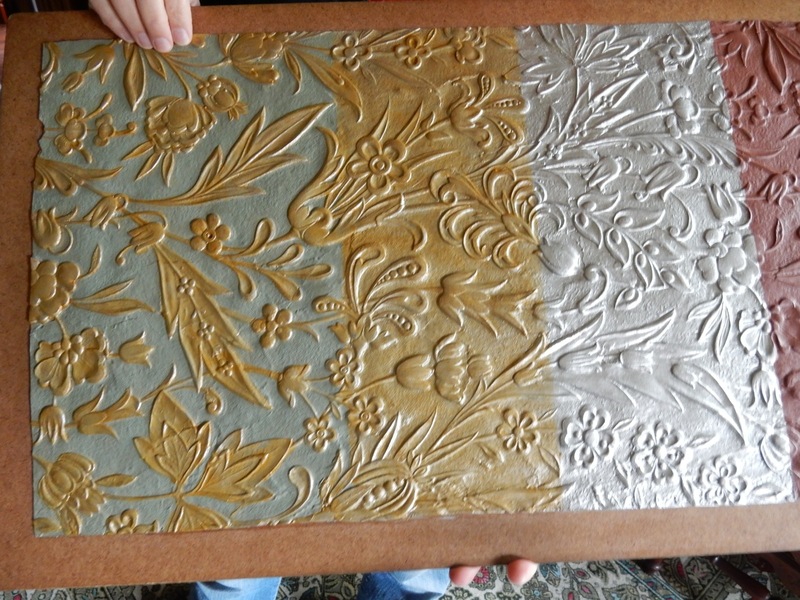 (Though a British-based company, it was quite possible that Roseland’s wall coverings were manufactured at the Lincrusta-Walton factory in Stamford CT). The hanging lamp in the foyer is etched with a picture of the Brooklyn Bridge – a nod to Bowen’s main NYC home. 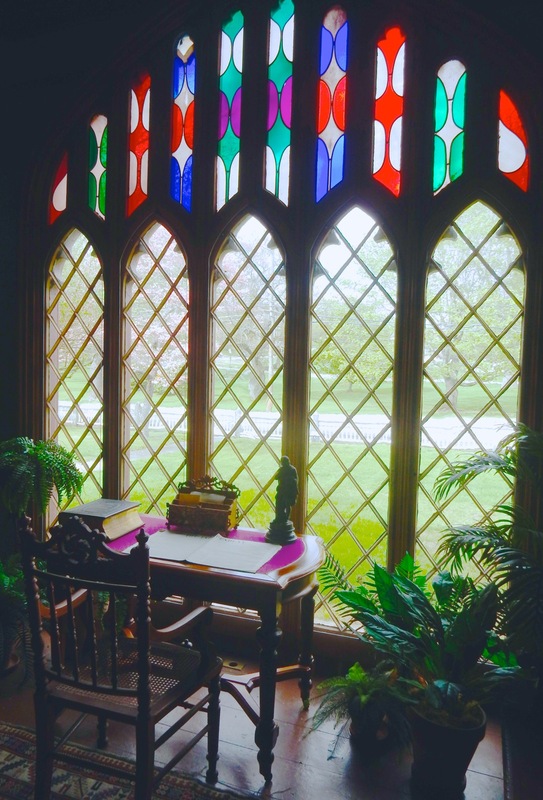 Rather than the religious themes of typical stained glass, however, windows in Roseland are, like its exterior color, rather modish and wild. Lucy Bowen died giving birth to her 10th child, at the young age of 38. Her “mourning portrait” hangs prominently over the living room fireplace. 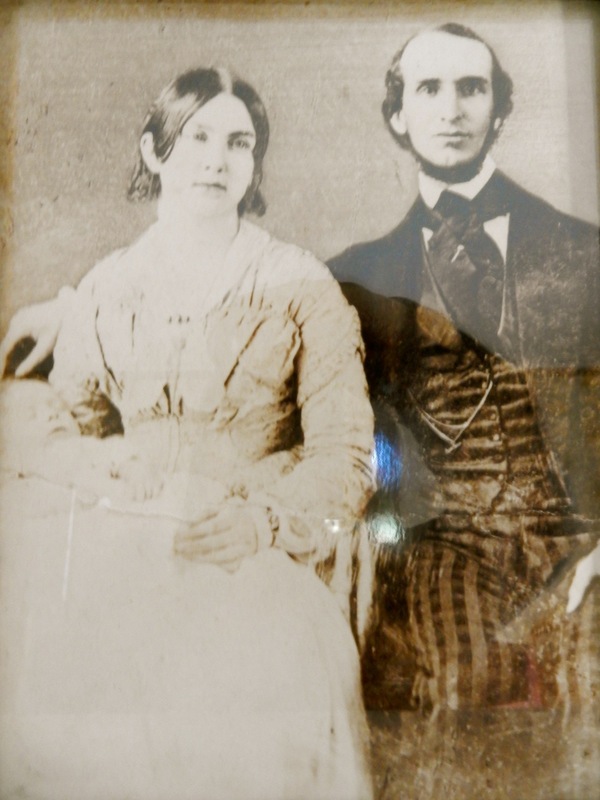 Henry next married Ellen, and had one more child with her. There are photos of both Lucy and Ellen, and all 11 kids, upstairs in the bedrooms. 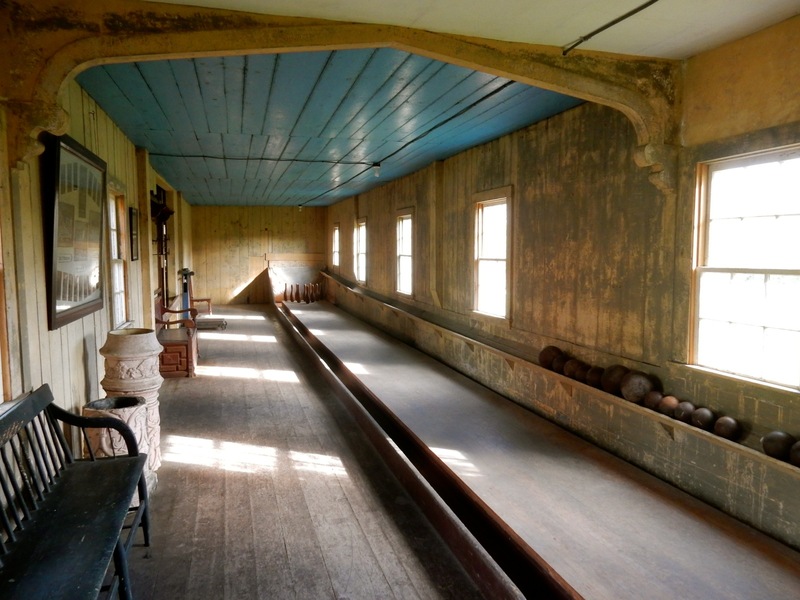 Your tour of Roseland ends in the carriage house, where you’ll enter the oldest privately owned bowling alley in America. It was here, on these old wooden boards, that Henry C. Bowen, who shunned drinking, smoking and card playing, brashly asked President Ulysses S. Grant to step outside to smoke his cigar. Open June 1-mid October, Wed-Sun 11-4, $10 guided tours on the hour. SHOP: Martha’s Herbary, Pomfret. 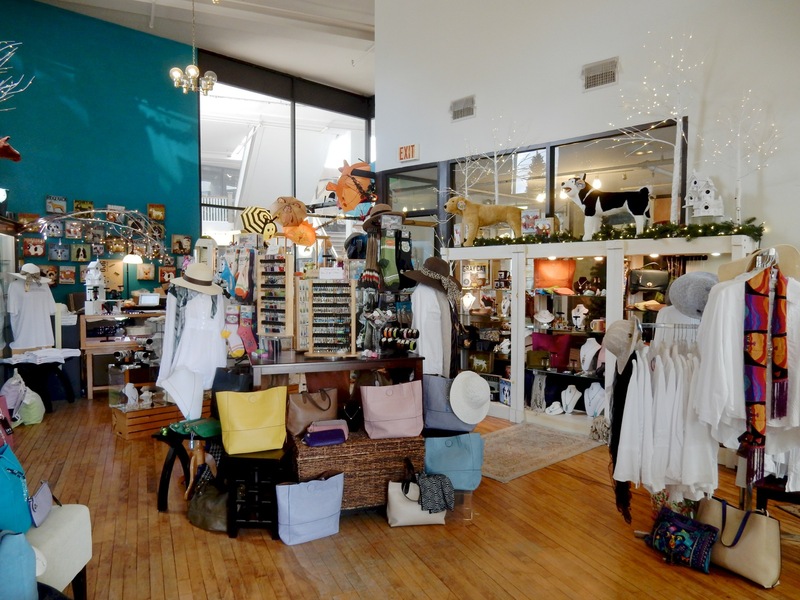 Right across the street from the Vanilla Bean Cafe, Martha’s will claim a bunch of your time, especially if you are a fan of local crafts, comfy clothing and, sure, dried herbs. From the name, you’d think this would be a stuffy little shop full of lavender sachets and the like, but quite the contrary. 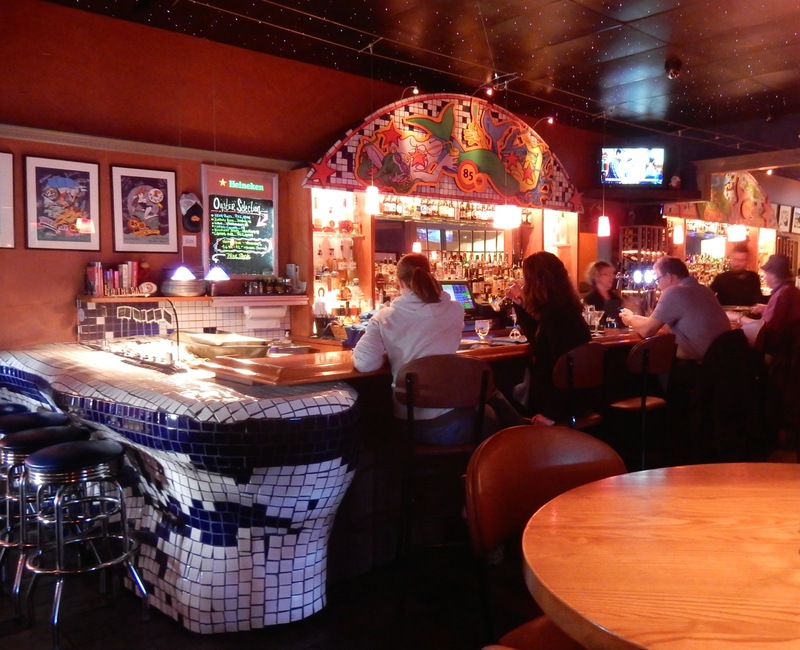 Carve out some perusing time either before or after a meal at the Vanilla Bean. WALK/HIKE/NATURE: Connecticut Audubon Society Pomfret Conservation Center/ Bafflin Sanctuary, Pomfret. 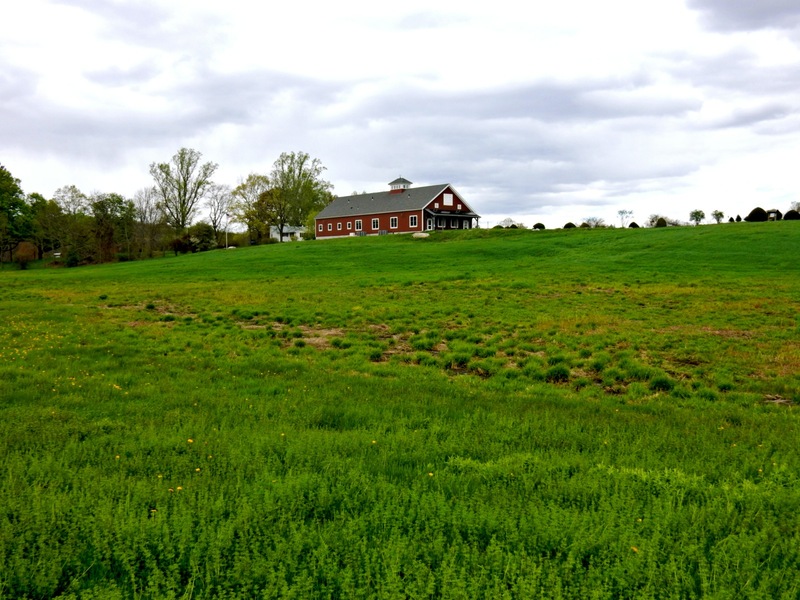 Almost 700 acres of rolling hills, scrubland, grassland and woodland, managed by the Connecticut Audubon Society, is open to the public thanks to one Louis Orswell, who sold off her valuable art collection to purchase the four dairy farms that abutted her Bafflin Estate. Take a walk on over 10 miles of trails and count the number of bird species you spy. Over 210 have been sighted here. The scenery is spectacular – the well kept trails a perfect leg stretcher. 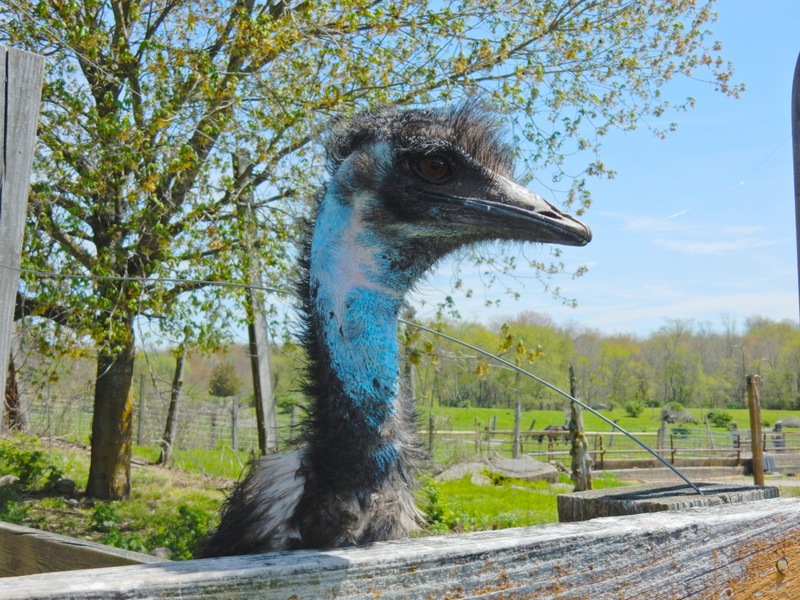 Start at the barn Visitor’s Center, where you’ll see taxidermied animals found in the surrounding region. Open Mon-Fri 9-4, Sat/Sun noon-4, free. WALK/BIKE: River Mills Heritage Trail. This 1.1 mile trail commemorates, with historical markers, Putnam’s link to the Industrial Revolution along the Quinebaug River. Make sure to see the Cargil Falls Mill on Pomfret St. – the oldest cotton mill site in the country (1807). SHOP/TAKE CLASS: Sawmill Pottery. Almost 16 years ago, owner Dot Burnworth took a chance in Putnam by being one of the first artisans to set up camp in less than gentrified surroundings. Things have changed quite a bit since then – and Burnworth’s pottery center is one of many cool places to check out in town. 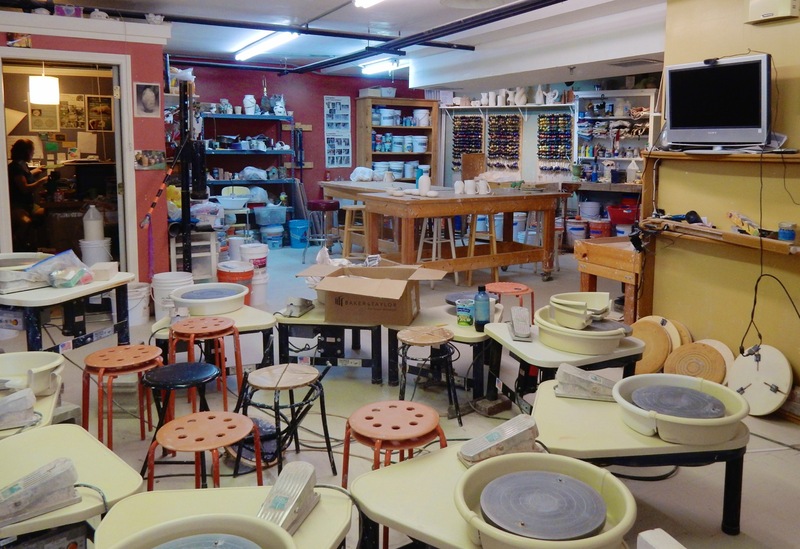 Sawmill Pottery has a small shop, and a larger classroom where you can take a 2-hour “Beginner Wheel 101” workshop ($60, sign up ahead of time), or drop in and paint your own ceramic piece (to take home the next day.). 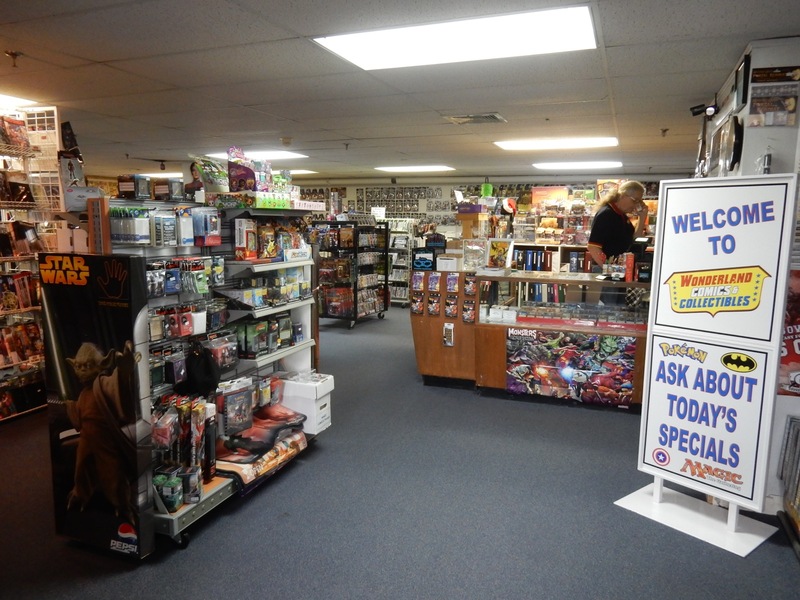 SHOP: Wonderland Comics and Collectibles. On the lowest floor of the old Montgomery Ward building, this comprehensive comic book store has been on national (and even international) radar for years. Though it looks small from the outside, indoors, it’s quite expansive. SHOP: Arts & Framing Sochor Art Gallery, Montgomery Ward Building. Sheri Sochor is a mega advocate of Downtown Putnam and a proponent of local artists who tend to be trendsetters in touch with the times. Her latest find? 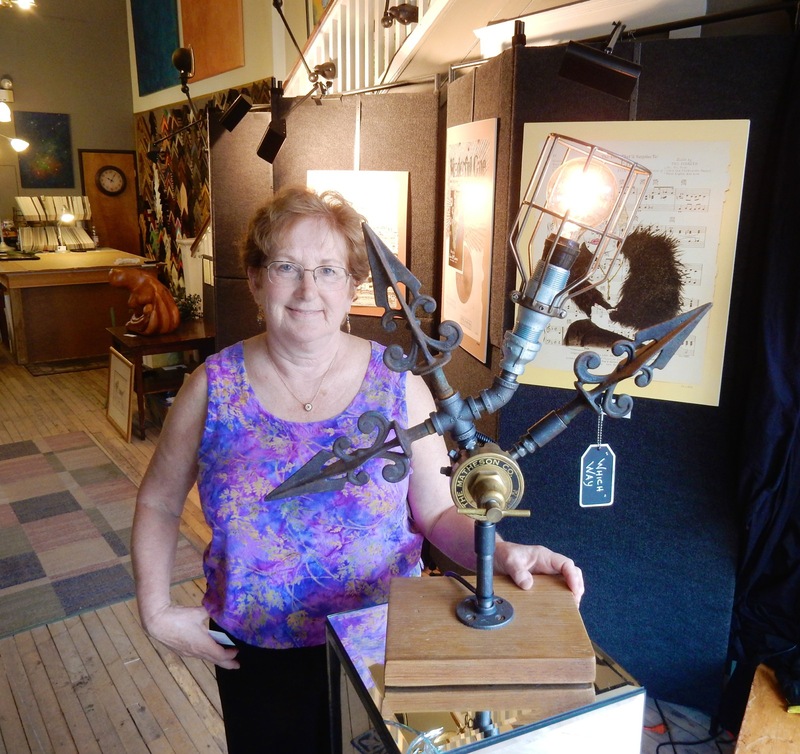 A guy who makes lamps from industrial leftovers – plumbing pipes, fence finials, etc. – that he finds around his house (Three Boy’s Lamps). A fabulous idea for your favorite engineer. SHOP: The Flying Carpet/Montgomery Ward Building. 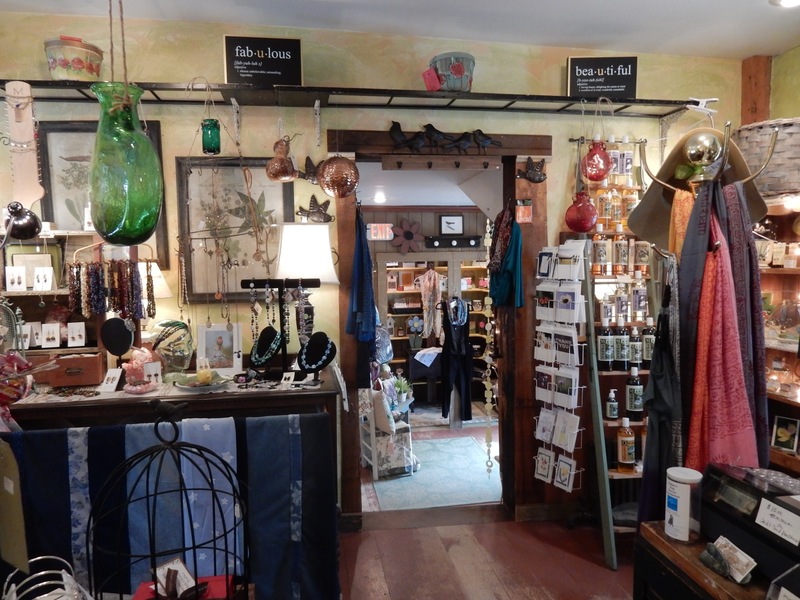 Anne Monteiro brings in terrific, one of a kind gifts, crafts, jewelry, and house-wares. It’s one of those great didn’t know you needed it till you saw it kind of shops. SHOP: A&L Emporium, Organic and Chemical Free Bath and Body Products. This funky shop has an “Essential Oil Bar” (make your own $7 small jar, $11 roll-on), a corner just for “Gentlemen,” and a modern, friendly vibe. 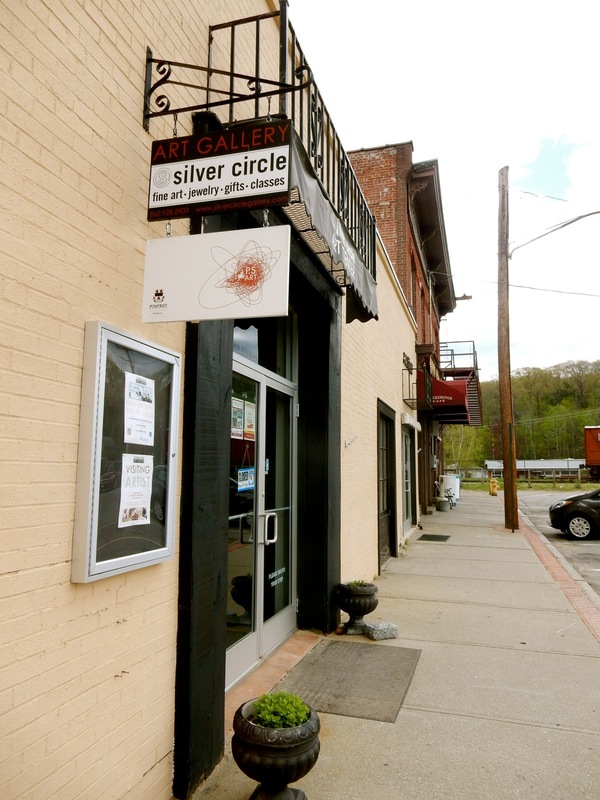 GALLERY: Silver Circle Gallery and Art Center, Putnam. 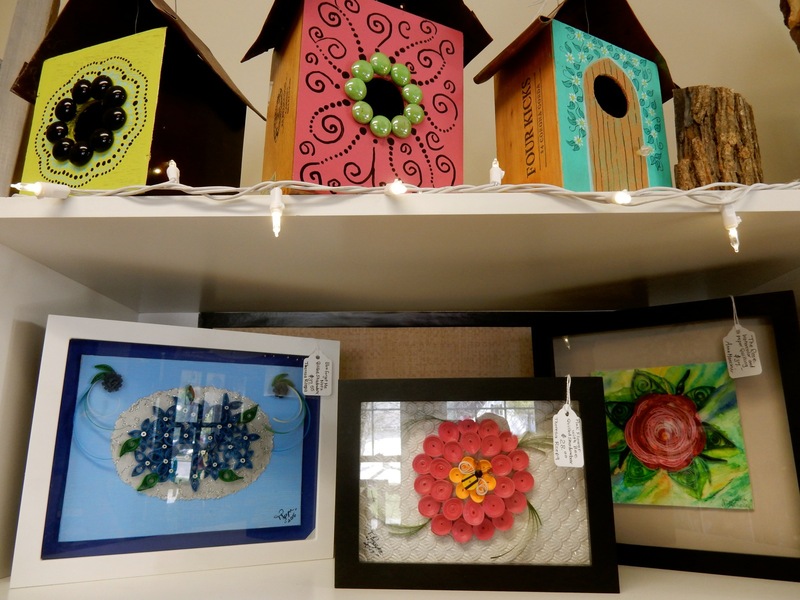 Come in to see the work of talented local artists. This organization also offers classes for all ages. THEATER: Bradley Playhouse of Northeastern Connecticut, Putnam. 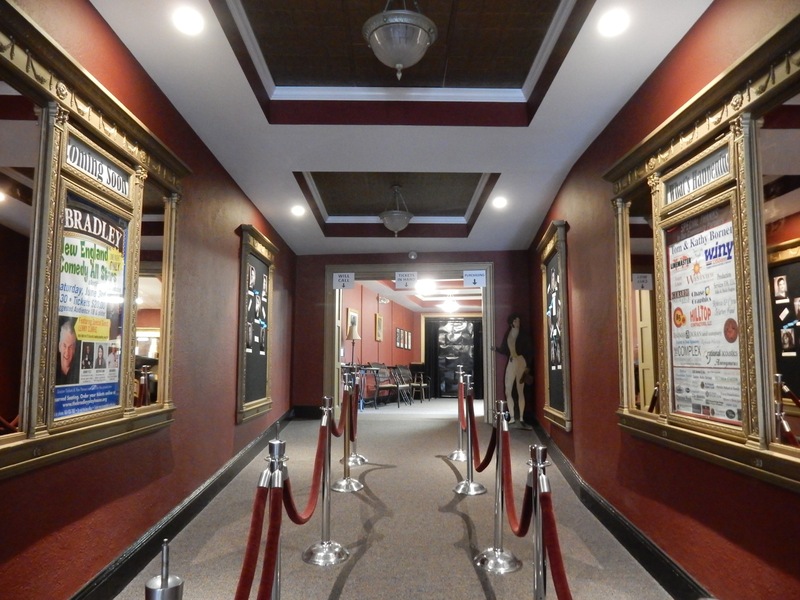 This regional theater packs ‘em in for shows and musicals, and is still going strong. 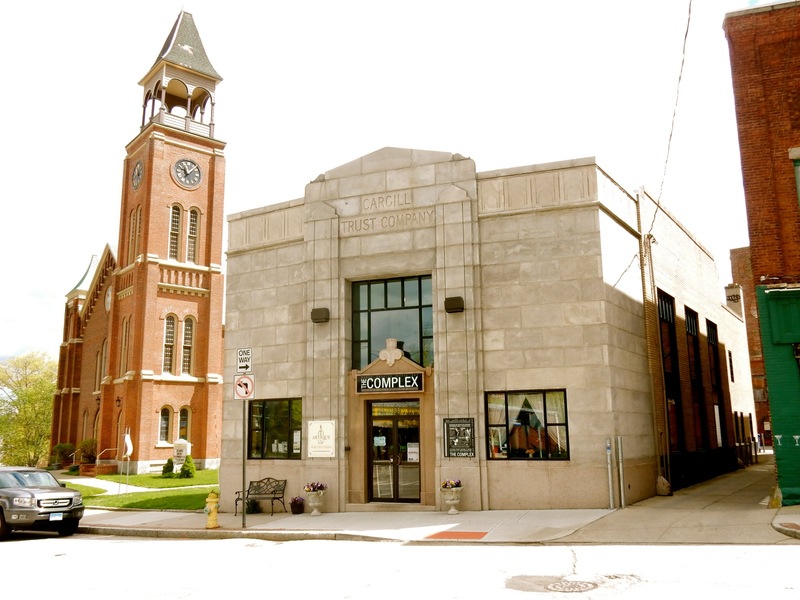 PERFORMING ARTS: The Complex Performing and Creative Arts Center, Putnam. In it’s new space (in a repurposed bank building), The Complex adds yet another dimension to Putnam nightlife and the performing arts. 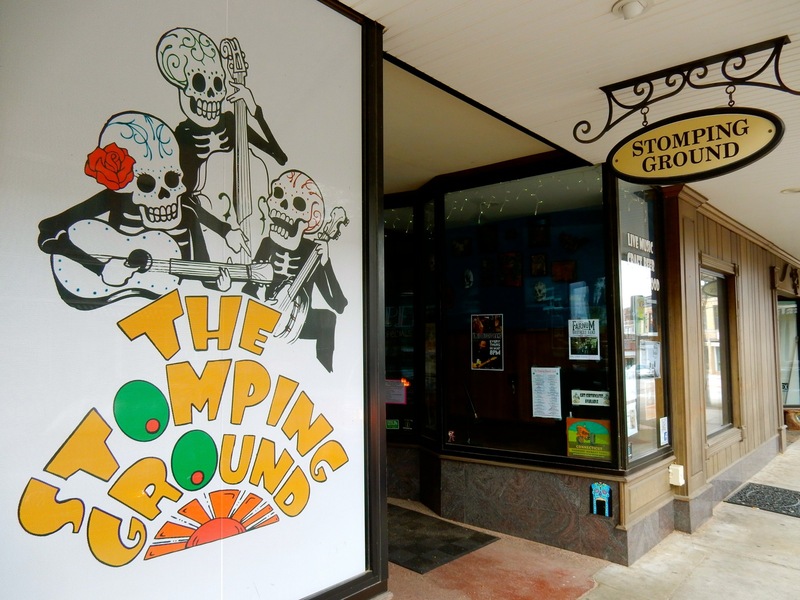 MUSIC/FOOD: The Stomping Ground, Putnam. This community hub is like Cheers, with live music. There’s a live band here 6 nights a week, and so many plusses: like Craft Beer, artisanal potpies, and a very convivial atmosphere. 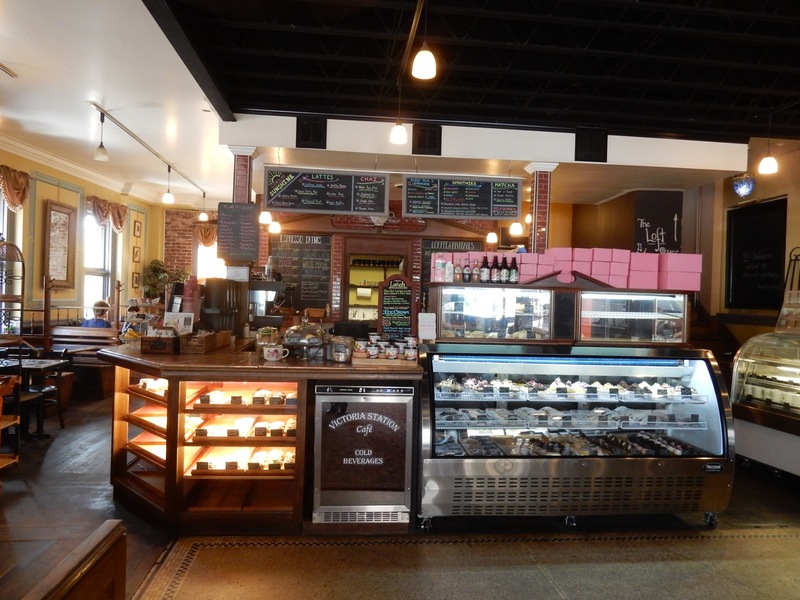 MUSIC/FOOD: Victoria Station Café, Putnam. This seems to be the gathering place in the morning – or at least where you pop in for a specialty coffee and baked good. Eat inside or on the brick patio outside. Best known for its coffees, pastries, sandwiches and ice-cream, Victoria Station has lately become a concert venue as well. 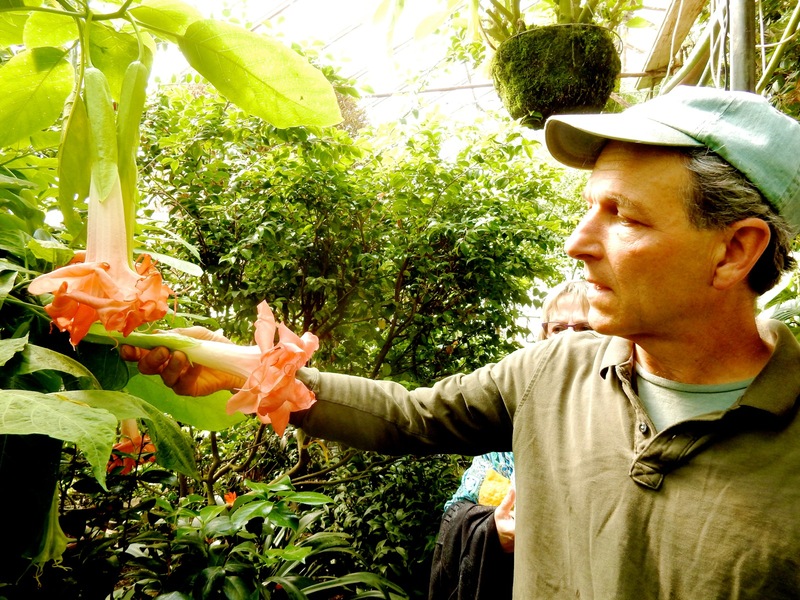 VISIT: Logee’s Greenhouses, Killingly/Danielson. 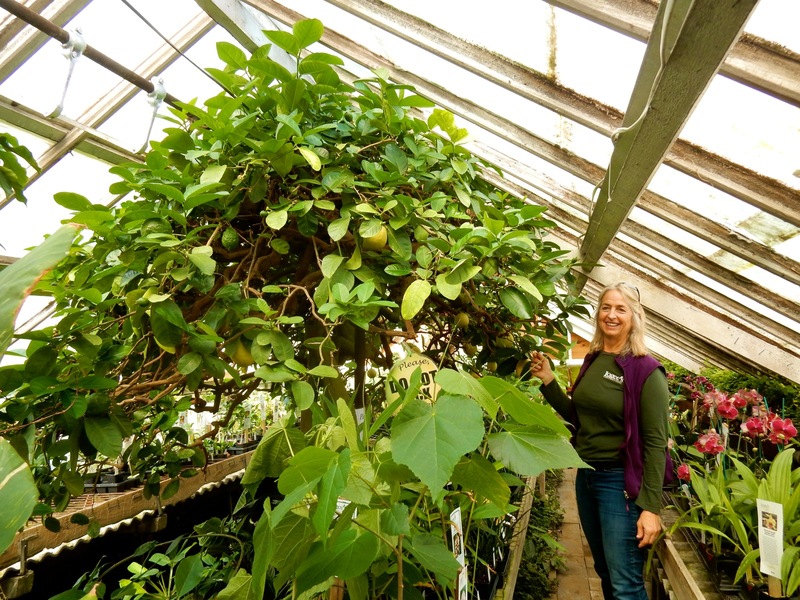 The Logee family put down literal roots in CT’s Quiet Corner, establishing rare, tropical and fruiting plant greenhouses here in 1892. 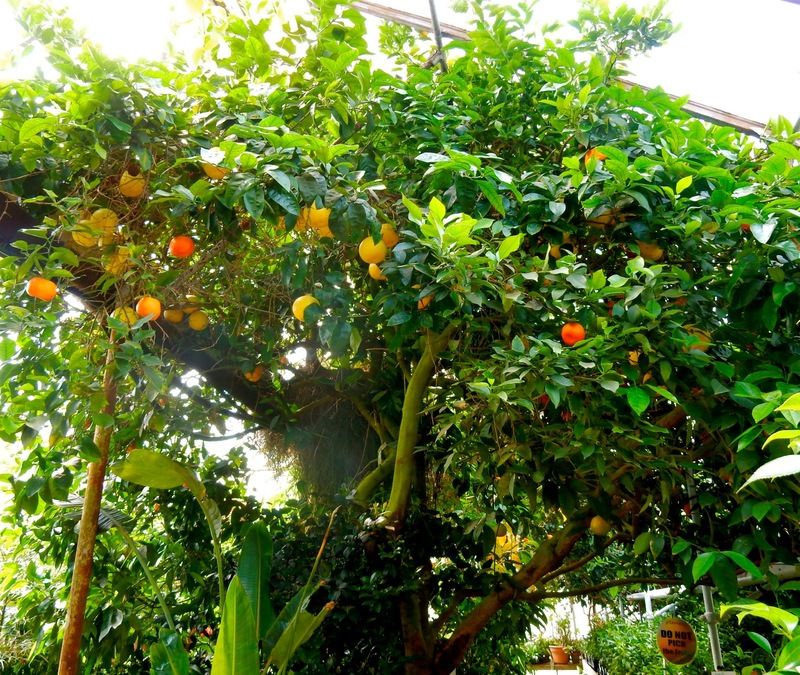 Now, 125 years later, Logee’s is still owned and operated by the family (3rd Generation – the Martins), and the historic Lemon Tree, which, in 1900, came from Philadelphia on a train, was picked up from the station by horse and carriage, and planted in the middle of the first Logee greenhouse, is still standing, and still growing the American Wonder Lemons that have no right to be so enormous. Logee’s found national fame after its Miracle Fruit, and Logee’s itself, were featured on the Martha Stewart show. Eat the Miracle Fruit berry, and it changes the sense of your taste buds from sour to sweet. Though over a million catalogs are mailed out, many people make the pilgrimage here, “especially in early May,” to see what’s new. 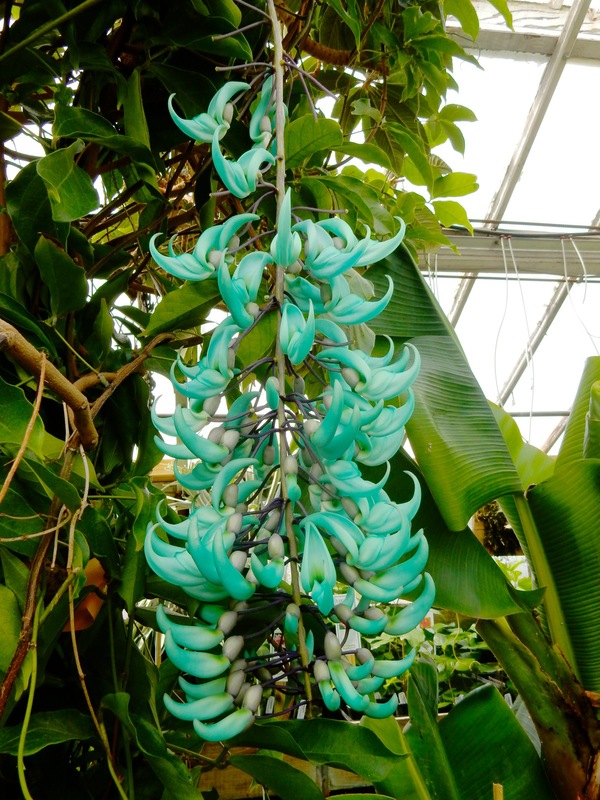 Visitors can walk through several humid, jungle-like enclosures, filled with colorful and fragrant wonders you won’t see anywhere else. 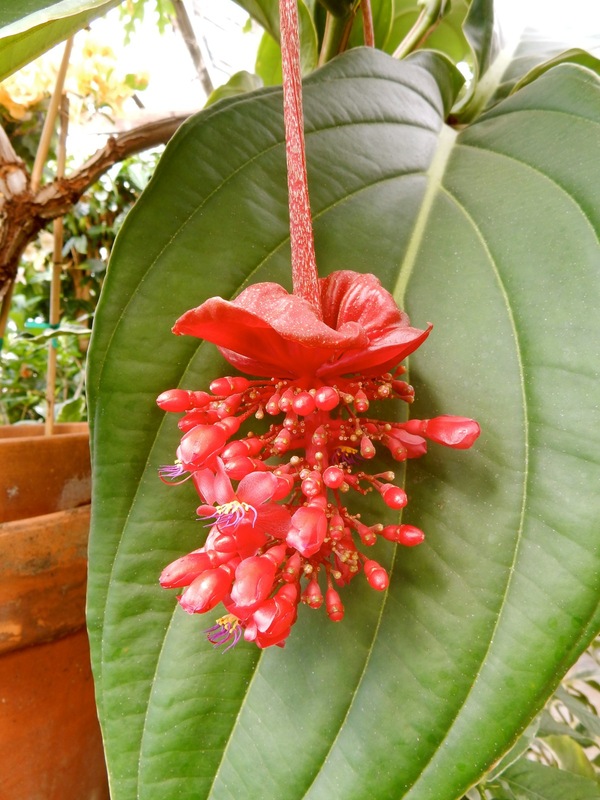 Come to see the extremely rare Red Medinilla, a waxlike sculptural hanging plant now just for show, and stunning Hanging Jade Plants, and of course fragrant Passion Flowers from Hawaii. Even if you don’t buy a thing, a visit here is like going to a wonderful (but very humid) art museum. You’ll be swept away. SHOP: ARTicles, Killingly/Danielson. For some reason – call it Yankee Ingenuity with a healthy appreciation for nature’s beauty – many artists in this region march to their own beat and create beautiful often-functional objects that you won’t find anywhere else. Owner/Artist, Lynn Herklots, has an eye for the unique and stunning – and features the work of over 30 local craftspeople in a charming 4-room gallery within a renovated 1930’s home. 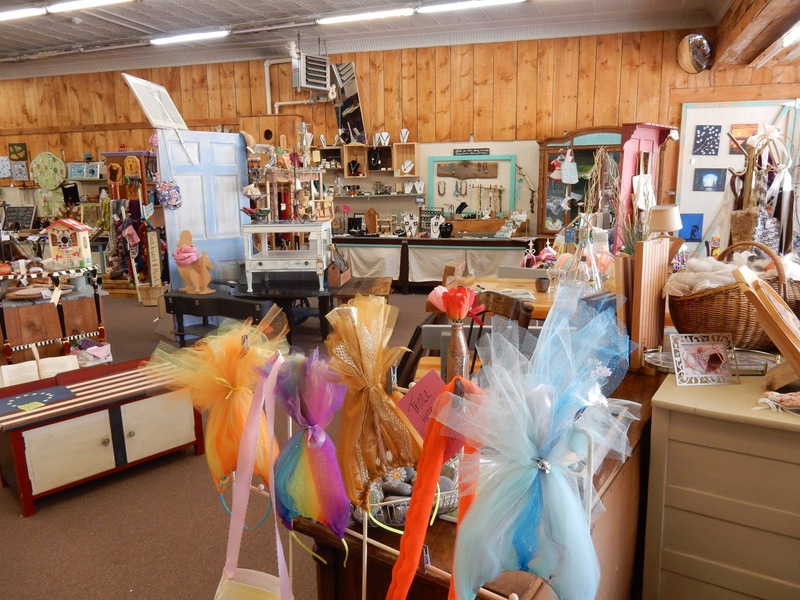 SHOP: Tunk City Revival, Killingly/Danielson. This huge shop has been described as “Etsy without the shipping costs,” “what it would look like if Pinterest and Etsy had a baby,” and “the never ending craft show.” Owner/artist Rena Masson champions 108 local crafts people – who upcycle everything from jewelry to soap to photos and paintings. It will take a few moments to acclimate yourself once inside, but it’s a lot of fun to hunt for just the right (reasonably price) thing. VISIT: Creamery Brook Bison, Brooklyn. Debbi and Austin Tanner bought an old dairy farm in 1981 and purchased their first five bison in 1990. They now have over ninety head and offer tours, a petting zoo, and fresh buffalo meat in a small gift shop. The farm’s slaughterhouse of choice—no joke—is the nearby E. L. Blood and Son. 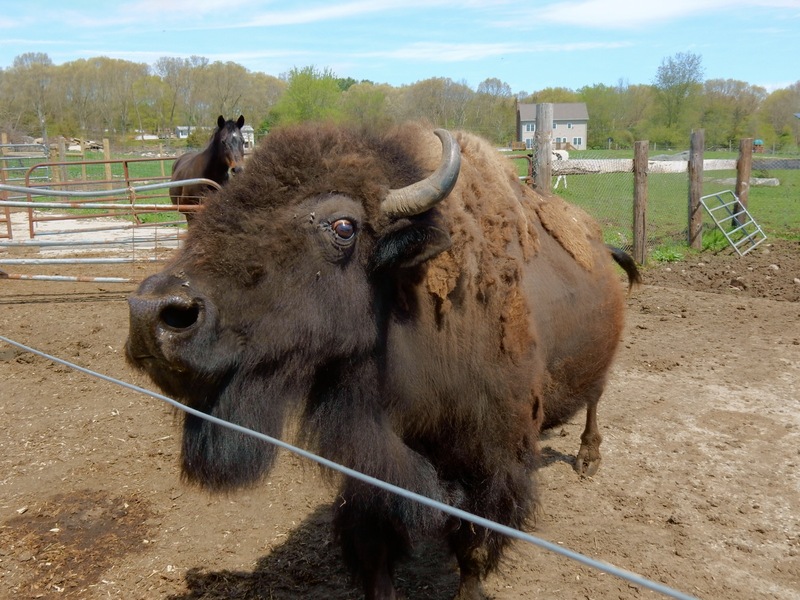 There are plenty of animals to see and feed on Tanner’s farm, though of course the stars of the show are the grunting buffalo that roam inside a fenced-in pasture. Open for Special Events April – Nov. – check website for details. EAT/BREAKFAST: Zip’s Diner, Killingly/Dayville. Originally opened on Route 6 in 1946, Zip’s (named for original owner a CT State Trooper, Henry “Zip” Zehrer) moved to its current location in 1954 and is now run by its 3rd generation. 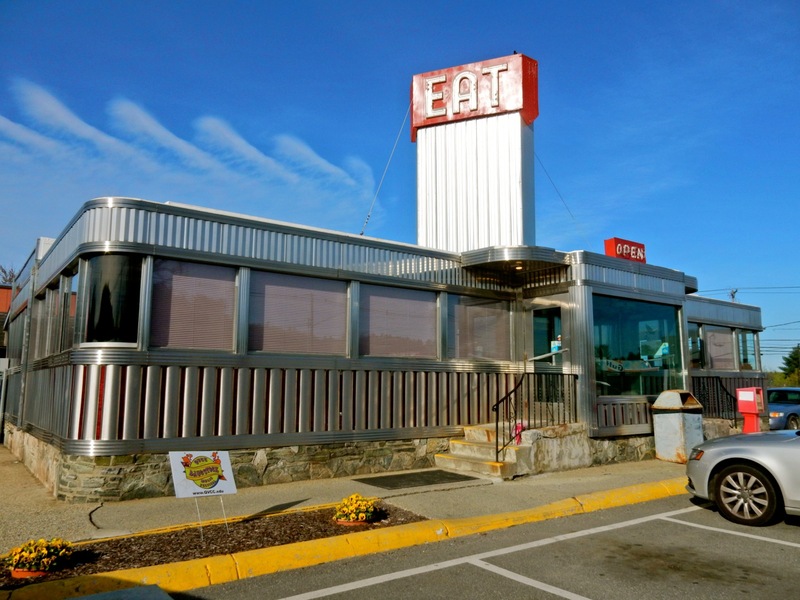 Though the food is basic, the building’s shiny aluminum shell is a beacon for 50’s- diner fans. 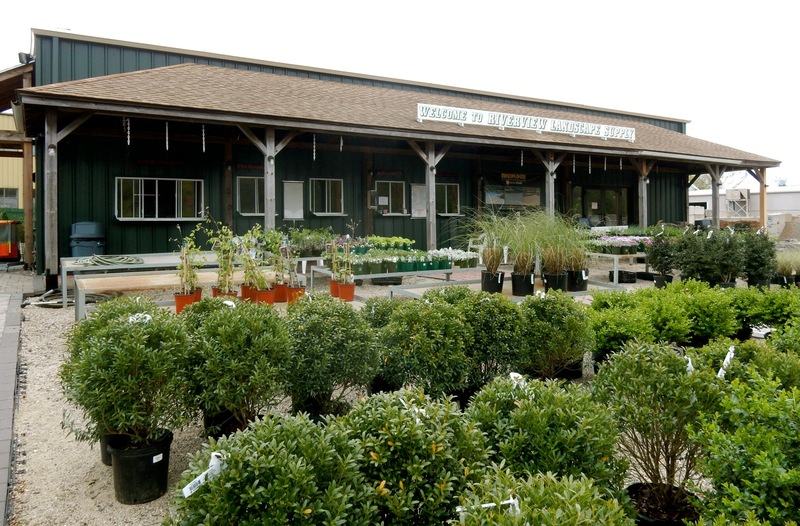 ICE-CREAM: Riverview Landscape Supply, Putnam. This is a first: an ice-cream shop, the Quiet Corner Creamery, in a landscape supply store! But this is why you should come: the creamy cold stuff is homemade and delicious, and you can take your cone across the street to the walkway along the river and stroll while you eat. Or – stay right at point of purchase, and play some putt-putt. It’s the perfect summer pastime combo. TEA: Mrs. Bridges’ Pantry, Woodstock. Take afternoon tea in this authentic English Tea Room (complete with “British-style” scones) behind the one antique store in Woodstock. 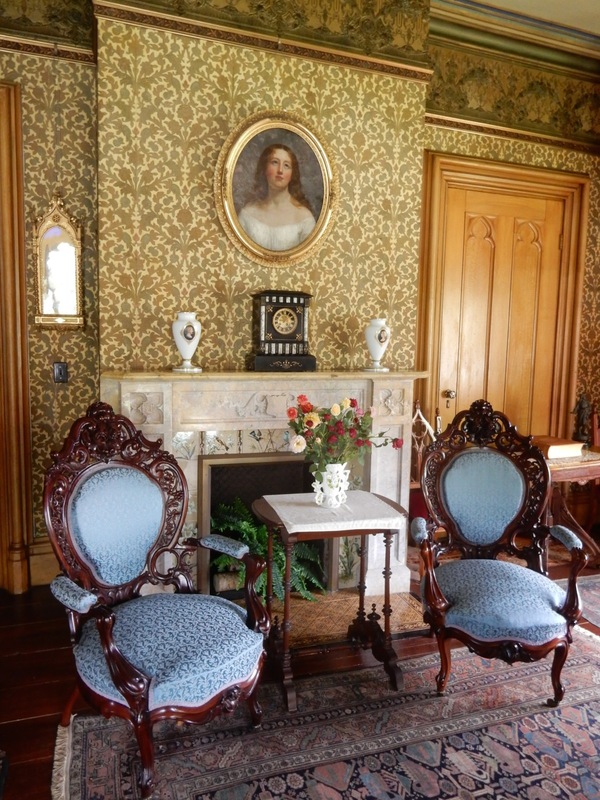 This is not quite “high-tea” – more like the casual kind that the two British women who established this place would serve in front of a fireplace at home. Try the most requested tea, Cream Earl Grey, for a twist on the original. EAT/LUNCH: Vanilla Bean Café, Pomfret. Owned by Barry and Brian Jessurum (who also own Dog Lane Café at UConn and 85 Main in Putnam) the Vanilla Bean Café was the forerunner of foodie-approved, locally sourced restaurants, when it opened 28 years ago. 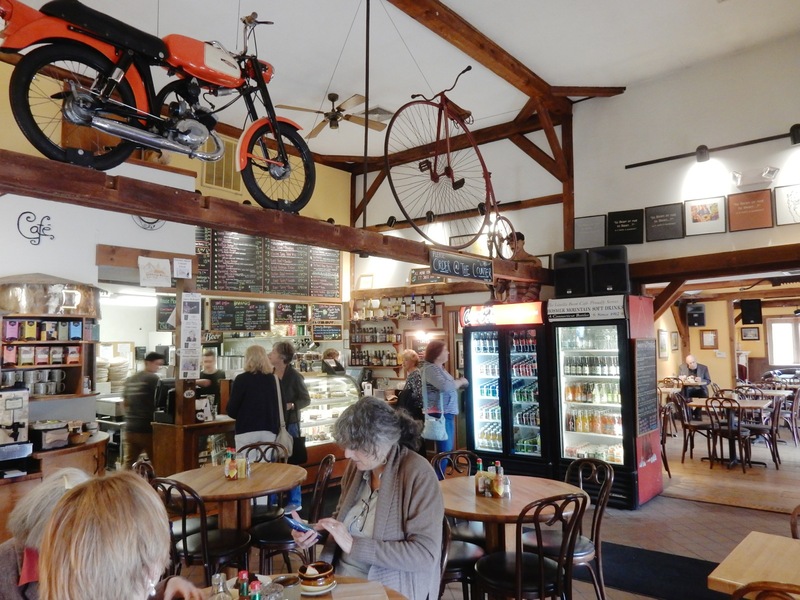 Established on this bucolic corner of Pomfret, just after Route 169 was declared one of the nation’s “Top Scenic Byways” in the 1980’s, the Vanilla Bean Café is known for soups, sandwiches, and its friendly wait-staff. But don’t discount the daily specials, which tend to be more innovative and creative than the daily fare. The Moroccan Lamb Stew ($13, lamb sourced from the bordering town of Woodstock) is a knockout, and indicative of the surprisingly varied cuisine you’ll find in this out of the way place. EAT/DINNER: 85 Main, Putnam. Known for its oysters, sushi, and excellent innovative cuisine, 85 Main still draws a crowd, even on a cold Wednesday night, after 13 years. Chef James Martin opened restaurants up and down the East Coast and came home to roost (he grew up in Woodstock CT; his 96 year old Grandfather still has a farm there). Mentored by “art of the grill” Boston Chef Chris Schlesinger, Martin also commands stove and oven as well. The Grouper Fish Cake (2 for $20) is as spectacularly flavorful as your favorite cup of seafood chowder condensed into a patty, and the innovative Monster sushi dish ($14), spicy tuna within crunchy tempura, is a perennial favorite for a reason. 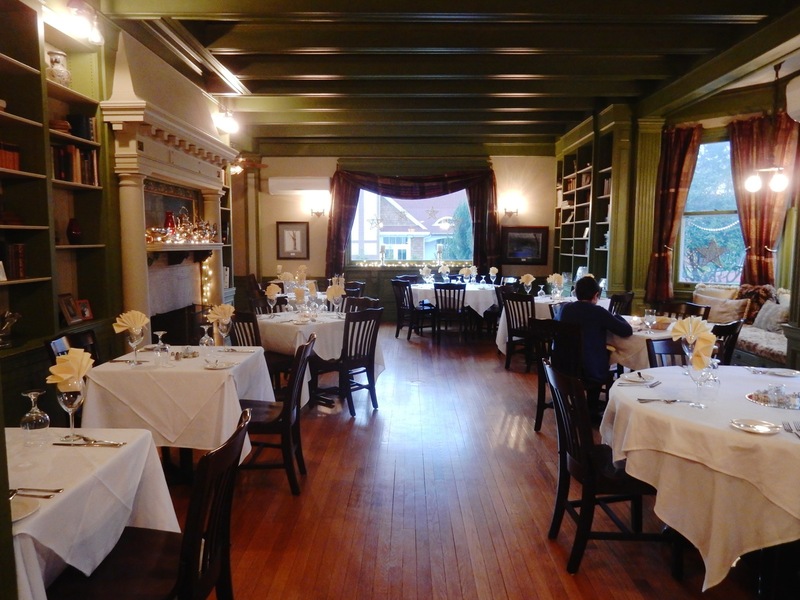 In fact there is nary a miss on the menu, and this consistency has kept 85 Main in business all these years. STAY/DINE: Mansion on Bald Hill, Woodstock. 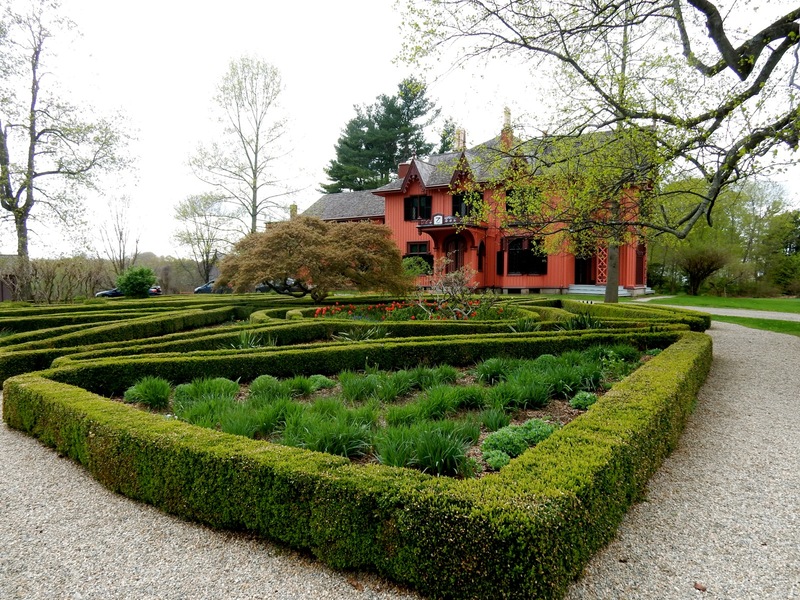 Built in 1892 by Clarence Bowen, son of Henry and Lucy Bowen, who owned Roseland Cottage a mile away, the 90-acre Mansion on Bald Hill, opened in 2008 as a 6-room B&B, is better known for its acclaimed restaurant and as a wedding venue than status as an inn. 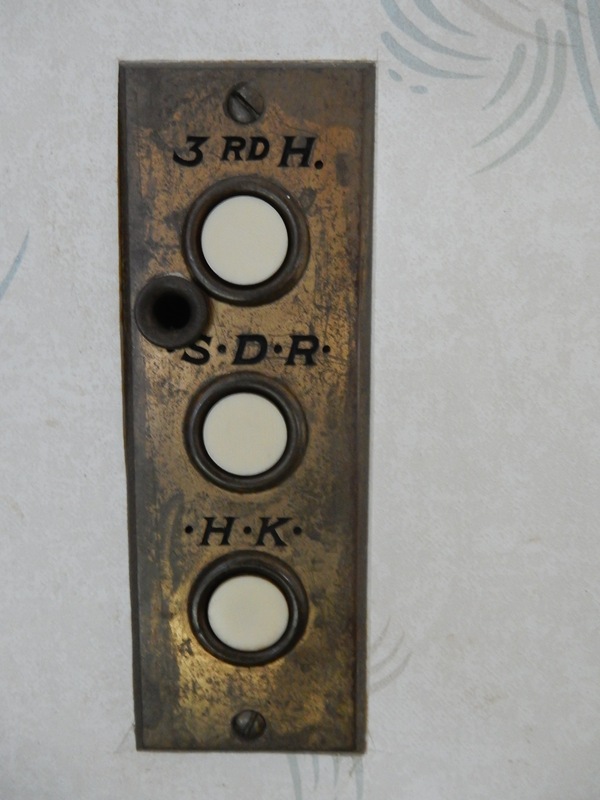 Those who dine downstairs and book a room above, however, are in for a treat: though not overly lush, some bed chambers still have original fixtures (from the 1920’s most likely) down to the servant call buttons embedded in the walls. I stayed in the roomy and elegant Mrs. Bowen’s room. In hues of gold and cream, with carved four-poster bed, marble-topped side tables, and heavy clubfoot writing desk, the room harks back to the early 1900’s and is so authentically Victorian, I half-expected a dressing gown to be laid out for me. The bed and bedding, I might add, was deliciously soft and cloudlike. 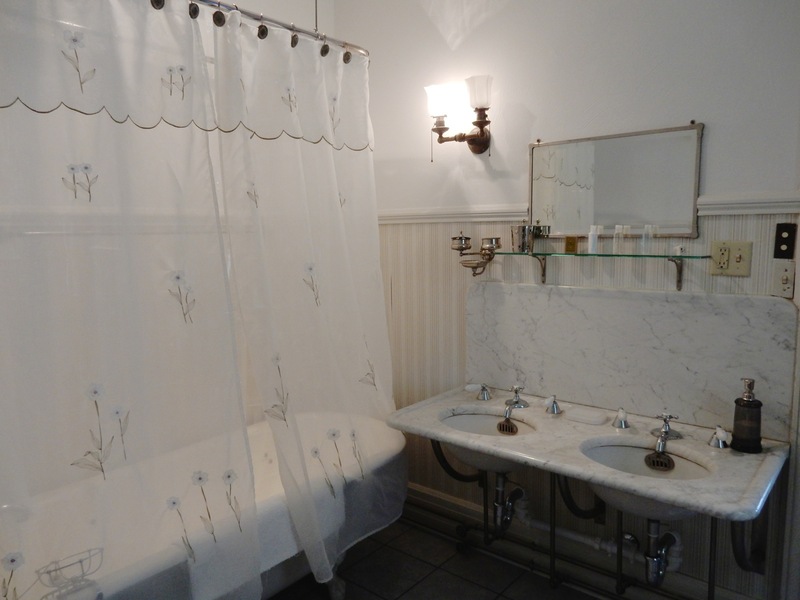 All six rooms are furnished as they might have been when the home was built, but of course have modern conveniences: TV’s, DVD players, and wi-fi. Rooms from $140 – $230 includes hot breakfast, wi-fi, parking. 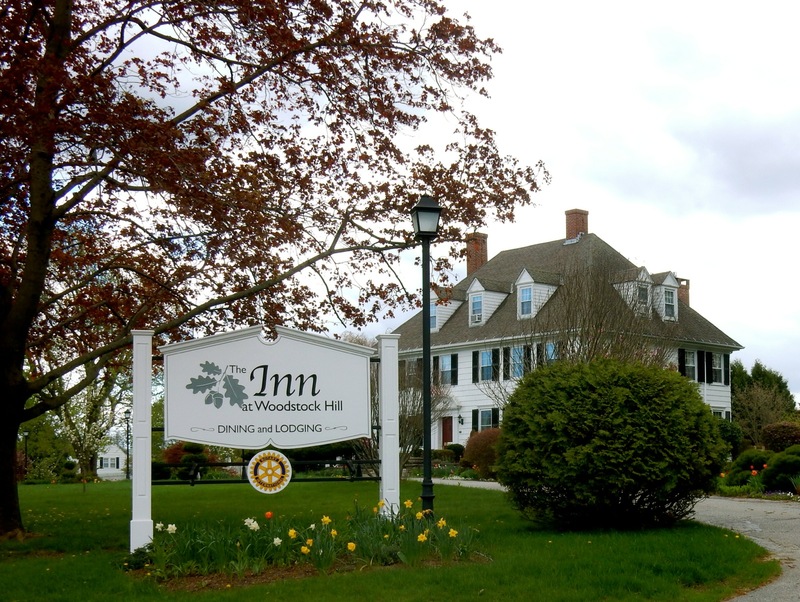 STAY: Inn at Woodstock Hill. 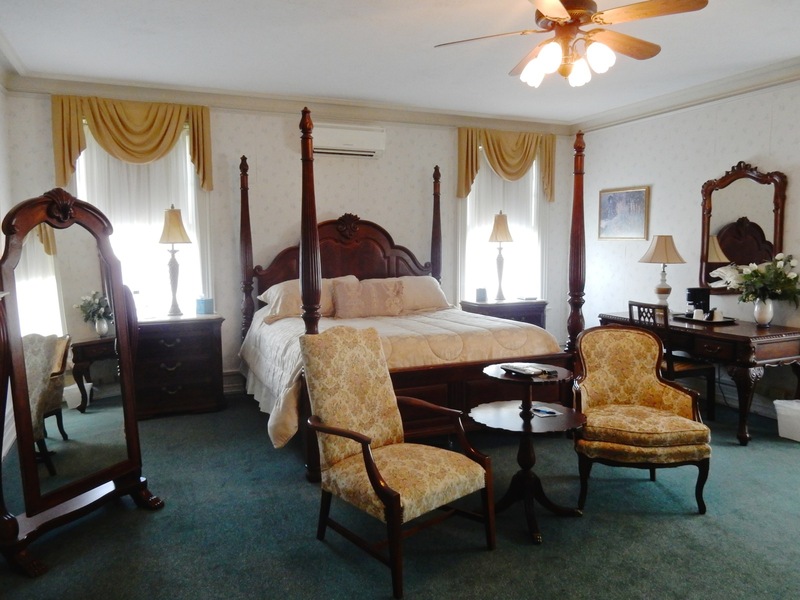 This 21 room inn is the grand dame of Woodstock accommodations – dressed in traditional New England fashion, rooms are country-fine. One of the best review of the quiet corner. Thank you. Just loved learning the history of my home area, left at age 18yrs. But have always enjoyed going back! Was born in Putnam and grew up in Danielson and Brooklyn. Come to the Quiet Corner on Thanksgiving weekend and the following weekend for Artists’ Open Studios. 90 artists will present their work to the public. The tour includes the entire quiet corner, from Tolland to North Grosvenordale, from Canterbury to Stafford Springs.